I don't know if this is the correct thread to put this in but just seen Walter Football predicting this team will finish 2-14. Even though that is possible I feel like that is kind of a stretch. If I am not mistaken there were some posts while back with sites saying we'd be in the six win range. Div games are always a battle but I don't mind the schedule at all. Eagles and Pitt is a rough start but the rest of the out of div games are about as easy as it gets. With or without Winston we could be 0-3 after the first three games. It is going to come down to how fast our def can gel and how alpha they are. Howard, Godwin with a year under their belt and the juice that Jones will bring to the running game... the off will be fine. 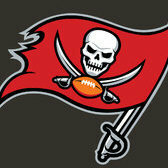 I was pissed reading 6-10 but 2-14... #itsabucslife so I wouldn't be shocked. I wouldn't be terribly surprised. I'd be super pissed, and we'd be looking at QB with the first overall pick for our new head coach. But I wouldn't be surprised. We always seem to underachieve for a few years before we surprise for one season. Just enough to keep fans interested. I’ve said it many times. The glazers do not know how to run a football organization. They are Cleveland south. They have too much say when they need someone like to play the tom coughlin role to come in and find a coach. They chose Koetter , not Jason Licht. 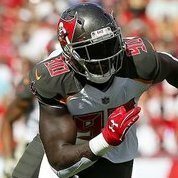 I honestly believe if this season goes down the tube, the Bucs are not an attraction, especially if ownership states they need to be on board with winston as the long term qb. I'd have to imagine Jameis would be a big part of a terrible season. And I doubt we'd bring in new coach and keep Jameis. You’d think that wouldn’t you but the glazers are on record stating he’s a part of the future. That's right now, and probably in regards to the Uber thing. A 2-14 season is another situation entirely. Ehh like I said. I don’t have much confidence in the glazers. They are poor owners and have yet to make a good decision for this team. That’s been the idea for what, 15 years now? The problem is, like the debate we had in 2014 and 2015. When we have the opportunity to take a franchise qb , we take the wrong guy. bucs would be in a better place with either of those two right now. I m really curious about the plan at RT. Expecting Dotson to play 16 games is a stretch. Does Benenoch get kicked outside and Smith (gulp) goes back in the lineup. I sure hope Wester and/or Gardner can show a lot in preseason. I really want to see Smith ride the pine this year. Either way this defense actually has talent along the DL. I can’t see TB losing 14 games with the amount of talent we brought in this off season. The defense last year was jokes and we still were in some games we shouldnt have been. Lol look at his first two seasons and got them to the divisional round in January.